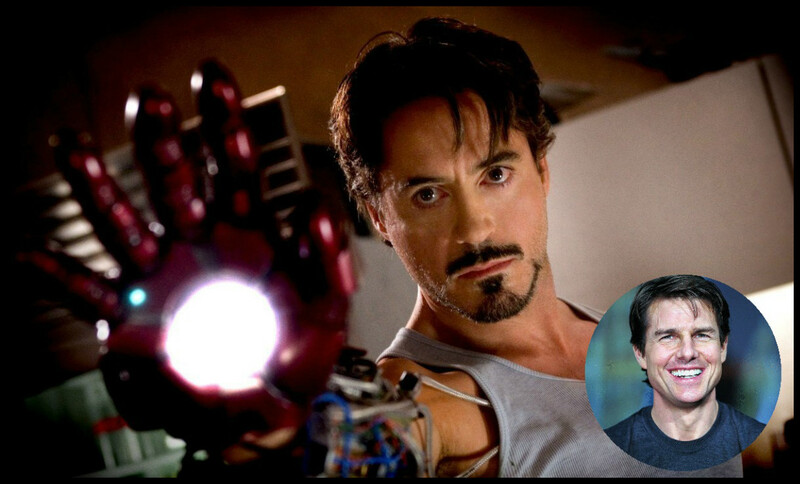 Not only was Tom Cruise in talks to play Tony Stark but he was also attached to being a producer of the film! Back in the early 00’s way before Robert Downey Jr. became Iron Man, Cruise expressed an interest in the film but later lost interest after not feeling connected to the script! It’s hard to see anyone but Robert Downey Jr. as the famous Avenger because he’s just so good at playing the superhero! Christina Applegate turned down the role of Elle Woods in 2001’s Legally Blonde because she was afraid of repeating a character after playing the ditsy blonde in the TV Series Married… With Children. 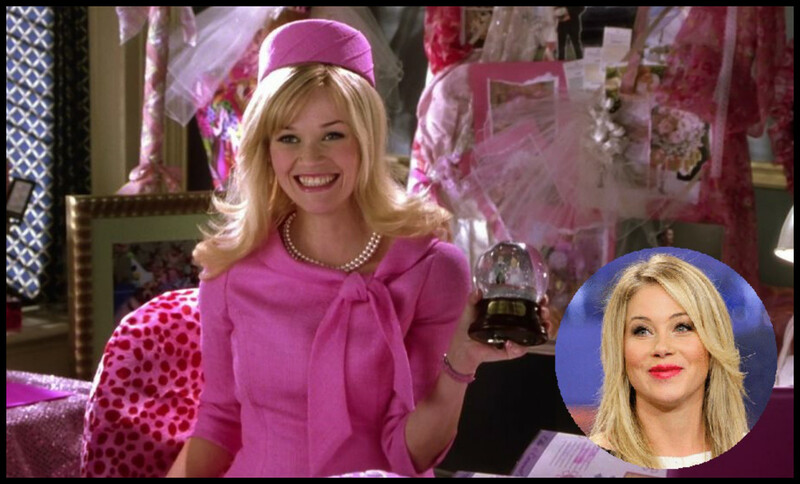 Reese Witherspoon went on to score the role of Legally Blonde and it even gave her a second Golden Globe nomination! Ok… So this one is kinda hard to imagine but Gwyneth Paltrow nearly played Rose in Titanic! She was one of the final two actresses to be up for the role (we’re guessing the other actress was Kate Winslet) but ultimately turned it down. Titanic ended up being the highest grossing film in 1997, and kicked off the careers of Kate Winslet and Leonardo DiCaprio’s! You saw him as Scarface but can you see Al Pacino as Hans Solo?! Pacino was offered the role of Hans Solo but turned it down after finding difficulty in following the Star Wars plot. 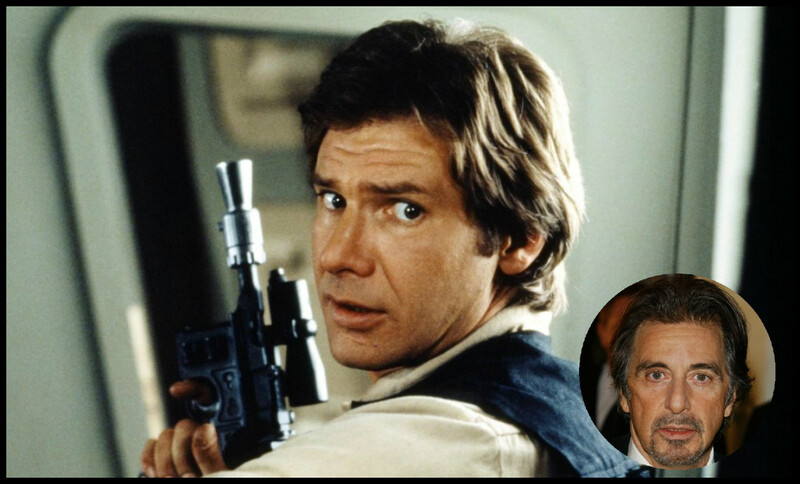 The role went to Harrison Ford and he has most recently reprised the famous role in Star Wars: The Force Awakens. 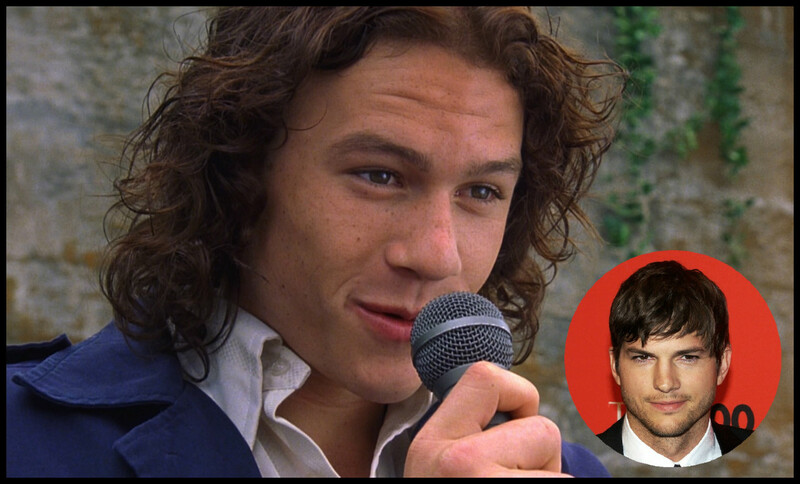 Ashton could’ve played bad boy Patrick Verona in 1999’s 10 Things I Hate About You but Heath Ledger won the role instead. Before Jennifer Lawrence became Katniss Everdeen, she auditioned for the role of Bella Swan in The Twilight Saga. We can’t picture J-Law as Miss Swan but can you image just how different things would’ve been if she did get the part?! Julia Roberts almost played the leading lady in 1993’s Sleepless in Seattle but couldn’t commit to the film because there was talks of her starring in Pretty Woman at the same time! Meg Ryan then became Annie Reed and starred opposite Tom Hanks. Thankfully for Julia, she got the role of Vivian Ward in Pretty Woman, playing Richard Gere’s love interest. 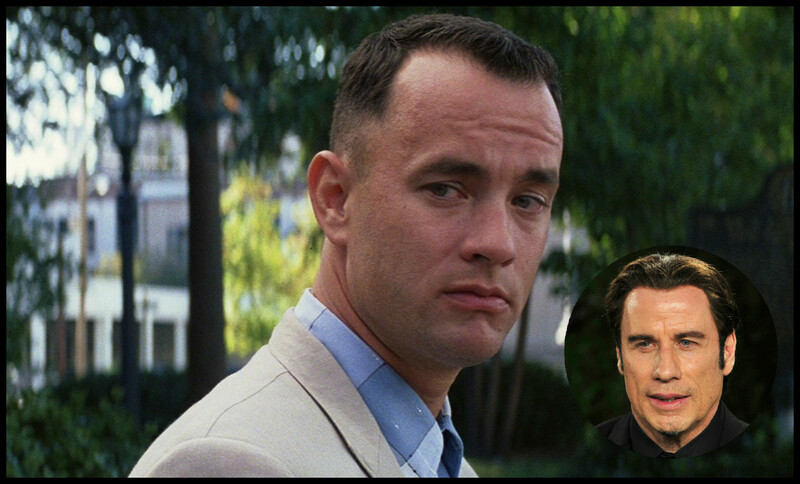 John Travolta passed on the role as Forrest Gump, therefore Tom Hanks scored the role instead! After Hanks’ outstanding performance he went on to win an Academy Award for Best Actor at the 1995 Oscars! Being a Disney sweetheart, Selena Gomez was offered the role of Mitchie Torres in Disney Channel’s Camp Rock but turned it down because at the time, she wanted to build her acting base more and wasn’t ready to explore that part of her talent. 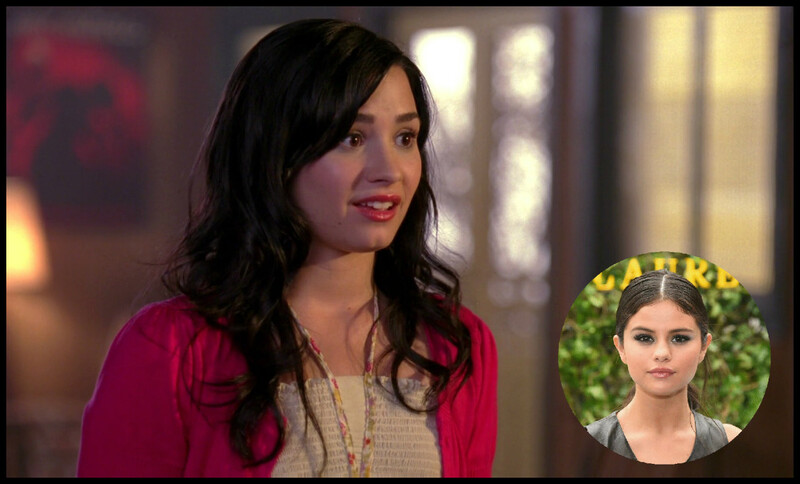 Demi Lovato later won the role and the success kicked off her career where she starred alongside The Jonas Brothers! Jessica Simpson was considered for the role of Jamie Elizabeth Sullivan before Mandy Moore won the role! Moore even went on to win an MTV Movie Award in 2002 for Breakthrough Female Performance after starring in the Nicholas Sparks’ film adaptation. So You Think You Know… James Cameron?